Hold or fold? In Fantasy terms, here are injury updates that can help guide tough decisions. 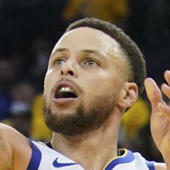 Fortunately, an MRI performed on McCollum's knee showed all major stabilizing ligaments intact while also revealing a strain of a unique muscle. McCollum's official diagnosis was a strained popliteus, a thin muscle that plays an important role in jumping and running. The popliteus is located on the back of the knee and forms the bottom of your popliteal fossa (the pit on the back of your knee). It is active during knee flexion (bending) and aids in knee stability. However, its primary role occurs while an athlete is standing with his knees locked. As the athlete begins to bend the knee, the popliteus rotates the femur into a position to allow the knee to "unlock" and begin bending. A strain to the area can directly affect an athlete's ability to run and jump, particularly with the first step. It can also have a trickle-down effect on the hamstring and calf, making a complete recovery particularly important. Fortunately, the Blazers medical staff has become one of the more successful units in the NBA and will take the necessary steps to ensure McCollum's long-term health. Determining how long McCollum will be sidelined is tricky as the injury is relatively rare in the NBA. Former MVP Kevin Garnett suffered a popliteus strain during the 2008-09 season. He missed 13 straight outings before returning for four games. Sadly, lingering pain and discomfort in the area prematurely ended his season and kept him from participating in the postseason. While this sets a less than promising precedent, it is worth noting Garnett's size, age and a bone spur likely played a role in his extended time off. McCollum is expected to miss at least a week before being re-evaluated. For Fantasy purposes, this is a major setback because the playoffs have begun in some leagues. Consider McCollum droppable in most formats, unless you can stash him while he sits. Evan Turner and Rodney Hood should see an increase in usage with McCollum sidelined. Ingram will miss the remainder of the season after developing a blood clot in his shoulder. The official diagnosis from the team was a deep vein thrombosis (DVT) in his sore right shoulder. A DVT is a clot that develops in one of the major veins of the body. DVTs usually develop in the lower extremities and can be life-threatening if dislodged. When this occurs, the clot is capable of traveling to the lungs, resulting in a pulmonary embolism (PE) that can block blood flow to the area. Clots development is relatively uncommon in elite athletes though multiple risk factors exist, including long distance travel and dehydration. DVTs can also be a complication following surgery as seen in multiple NBA players including Anderson Varejao, Udonis Haslem, and Tyreke Evans. Fortunately, the root of Ingram's clot has been identified. The third-year forward recently underwent a procedure known as a thoracic outlet decompression. In the surgery, whatever was causing the impingement that caused the clot to develop is resected. With the root of the problem removed, Ingram should be able to resume his career without the risk of future clot development. In conjunction with the surgery, Ingram will likely be placed on anticoagulant medication, designed to thin the blood and prevent additional clots from forming. Sadly, the medicine has an unfortunate side effect as those taking blood thinners become vulnerable to excessive bleeding or significant internal bleeding following any future trauma. As a result, athletes prescribed blood thinners are usually withheld from sports until they are off the medication and all the existing clots have been absorbed. This usually occurs between three to six months from the start of medication. In the end, Ingram is droppable in single-season leagues though he should maintain his overall Fantasy value in keeper or dynasty formats. Malcolm Brogdon, Bucks: The point guard will be sidelined at least six weeks after suffering a partial tear in his plantar fascia. The plantar fascia is a dense bundle of connective tissue designed to support the bottom of the foot. If the plantar fascia becomes irritated or inflamed it is known as plantar fasciitis. Plantar fasciitis can become a chronic issue that is extremely painful and equally difficult to manage. A partial tear of the tissue is a bit more problematic. The plantar fascia is designed to withstand and disperse the increased forces associated with walking, running and jumping. A tear to the plantar fascia, even a small one, compromises the integrity of the foot and the affected individual often experiences pain when attempting these actions. Rest is often the best course of treatment. Look for Brogdon's absence to extend into the postseason. Giannis Antetokounmpo, Bucks: Milwaukee's injuries were compounded by a mild ankle sprain for its All-Star and potential MVP. He suffered the injury during his 52-point outburst against the Sixers, and while he remained in that game, Antetokounmpo did not play Tuesday against the Lakers. Antetokounmpo and the Bucks have downplayed the severity of the injury, and his absence shouldn't be considerably long. The team will need their leader back in the lineup to maintain their hold on the top spot in the Eastern Conference. Consider him day-to-day for now. Jrue Holiday, Pelicans: The former All-Star is currently sidelined with a lower abdominal strain. The injury has been an issue throughout the season, but the Pelicans have opted to handle his recovery conservatively. Even if he is eventually cleared to return to game action, consider Holiday a Fantasy liability for the remainder of the season as he will likely be provided with additional days off for rest. LeBron James, Lakers: The Chosen One will miss the postseason for the first time since the 2005-06 season, due in large part to a groin injury sustained in December. The strain sidelined James for 17 straight outings, the longest injury-related absence of his career. The Lakers have opted to prevent James from adding excessive minutes to his already substantial career workload by limiting his playing time. Furthermore, he continues to experience soreness related to his previous groin injury leading him to miss complete games as well. For Fantasy purposes LeBron is too valuable to drop outright, but don't expect him to play a full slate moving forward.